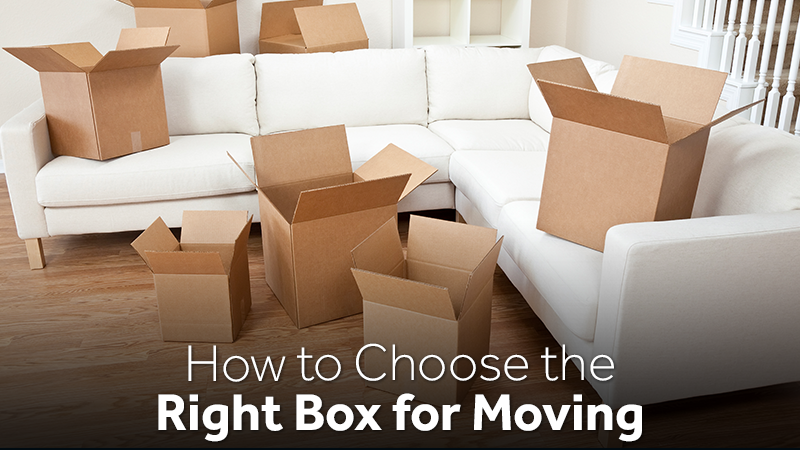 Whether you&apos;re packing for a move across town, organizing or just putting a few things into storage, finding the right box for the task isn&apos;t always easy. Cardboard boxes come in many shapes and sizes, and they&apos;re not all made the same way. Choosing the best box to protect your items can make all the difference between a successful move and a stressful unpacking experience. This guide will help you figure out which boxes to order to simplify your next packing project. Folding cartons are typically thin, relatively flimsy and are designed to fold down easily. This is the type of box you see at many retail stores and even at the grocery store — think cereal boxes. Carton boxes aren&apos;t typically the best choice for moving and storage because they&apos;re so flimsy and tend to break down quickly. But if you&apos;re decluttering, organizing, or separating small items in one larger sturdy box, they can be useful as dividers. Rigid boxes stand up to more stress and are designed to protect a high-value item. Think about the box your last cell phone or laptop came packaged in; that was probably a rigid box. If you have extras around the house, rigid boxes can be great for packing electronics and small, fragile items for a move. The standard moving and storage boxes are made from corrugated cardboard. These boxes are built from three layers of paper including a wavy, fluted layer in the middle giving the cardboard strength and rigidity while keeping it lightweight and inexpensive. Corrugated boxes are great for moving and for short-term storage or storage in a climate-controlled storage container such as a unit at Zippy Shell. For long-term storage, we recommend plastic bins to cut down on box wear over time; corrugated cardboard isn&apos;t designed to last for years. 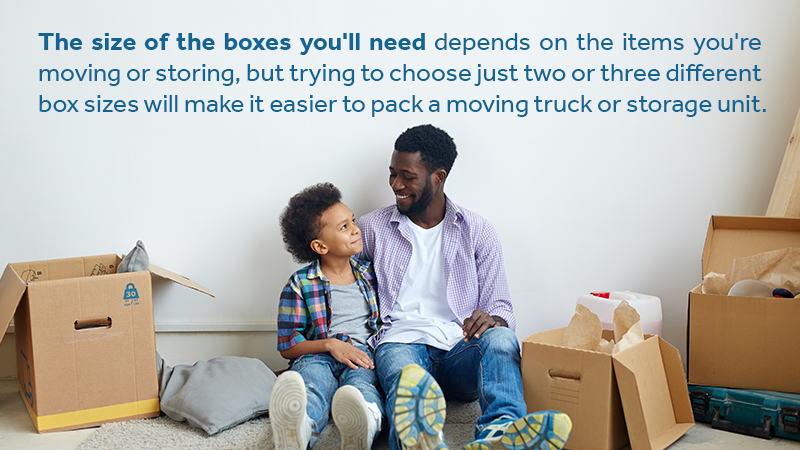 The size of the boxes you&apos;ll need depends on the items you&apos;re moving or storing, but trying to choose just two or three different box sizes will make it easier to pack a moving truck or storage container. Fill in the empty spaces in your packages with crumpled paper or bubble wrap; even non-fragile items can become scuffed and damaged if they&apos;re packed too loosely in their boxes. Still trying to plan your next move? Contact Zippy Shell Houston if you need help! We&apos;ll hook you up with all the information you need to move and store your stuff more efficiently than ever before.